There is one song that I’ve never heard a ukulele group or jam make it through the bridge together without the wheels coming off; Blue Moon. Why, because it breaks the logical pattern of resolving around The Circle. We’ll learn theDean Martin version of the song in theKey of C. The I-vi-ii-V7-I pattern of the verses is one of the most popular in western music, is also known as the Rhythm Changes. Look how the pattern lays out on The Circle. Someone I really care for. Without a love of my own.Once you get the rhythm changes under your fingers (and in your ears) all you have to do is memorize that tricky bridge. The first part is an easy ii-V-I (dm G C) which is a standard jazz chord progression, again falling naturally on the Circle of 5ths. Then the strange part, which isn’t really that strange. Songs bridges like to go to the IV chord. In this case, it’s the iv minor. 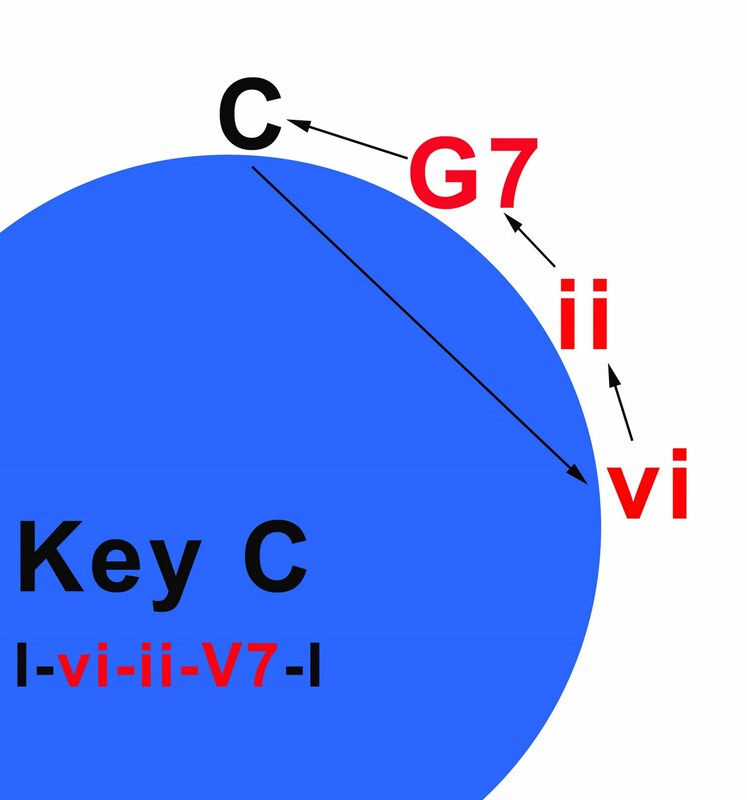 The two oddball chords the bVII and bIII (Bb Eb) then make a cameo, which in turn sets the song up to resolve back to the verse V-II-V-V7 (fm Bb Eb G D G G7). This song is used for educational purposes only.